Justice Ashok Bhushan delivers his first reported Judgement as Supreme Court Judge. The Supreme Court, in CHAMOLI DISTRICT CO-OPERATIVE BANK LTD. VS. RAGHUNATH SINGH RANA has reiterated that the compliance of principles of natural justice by the Employers in Disciplinary proceedings is not a mere formality, especially when the statutory provisions specifically provides that disciplinary proceedings shall be conducted with due observations of the principles of natural justice. 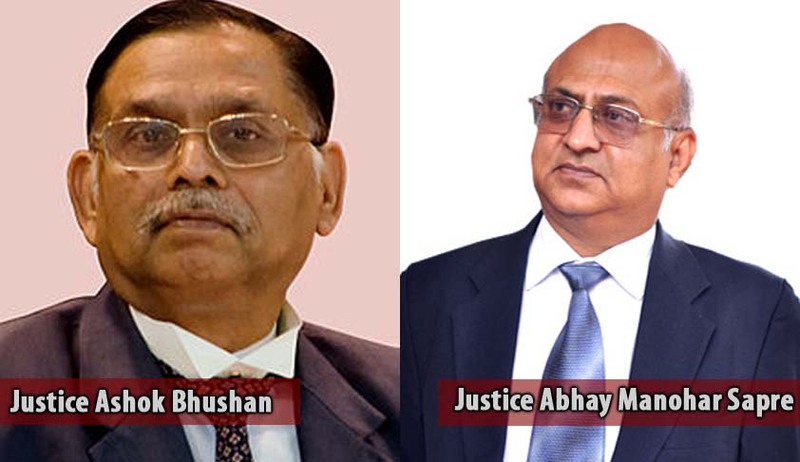 Dismissing an appeal against the High Court judgment which had quashed the Dismissal order against a bank employee, the bench comprising of Justices Abhay Manohar Sapre and Ashok Bhushan observed that, imposing of any penalty on an employee of the bank that too major penalty of dismissal from service can only be done after following the statutory provisions governing the disciplinary proceedings. The Court dismissed the appeal observing that no materials have been brought in the appeal to indicate that any inquiry was conducted or inquiry report was submitted subsequent to the charge sheet.